Open Road Media Science & Fantasy, 9781480491168, 240pp. 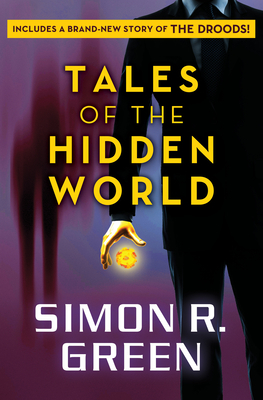 Seventeen delightfully unexpected stories from Simon R. Green-including a brand-new adventure of the Droods-take us deep into the Darkside, embroil us in the Secret Histories, and lead us into the shadowy places where monsters and demons roam Welcome to the worlds of Simon R. Green. In this wide-ranging collection, the New York Times-bestselling urban fantasist opens doors into hidden places: strange realms bordering our own mundane existence and prowled by creatures of fancy and nightmare. Here are the strange, frequently deadly-and sometimes even dead-things that lurk in garbage-strewn city alleyways and grimy subway stations after midnight, visible only to the most perceptive human or inhuman eye. In these tales, Green revisits the ingenious worlds within worlds that he created for his wildly popular novels. Take a stroll on the Darkside with a jaded street wizard, an underpaid government functionary responsible for keeping demons, vamps, and aliens in line. Enter the hidden recesses of Drood Hall, where the aging family member who creates powerful weapons that protect humankind recalls his long and bloody career. Join a squad of no-longer-human soldiers dispatched to combat the all-consuming jungle on a distant planet. Visit a house at the intesection of two realities that serves as a sanctuary from the evil of all worlds. Confront the unstoppable zombie army of General Kurtz in a brilliant homage to Apocalypse Now. And whatever you do, never forget that there are monsters out there. Really. Each story includes a new afterword by the author. " In] a Simon R. Green book, everything is larger than life-the heroes extremely heroic, the villains astonishingly villainous, the choices between good and evil very clear-cut. Still, if the ultimate outcome is never really in doubt, there's plenty of entertainment in the journey, and the engagingly-drawn characters." -SFF.net "If they're making fantasy adventure much better than this, I don't know about it." -Science Fiction Chronicle on Beyond the Blue Moon Simon R. Green is the New York Times-bestselling author of Blue Moon Rising, Beyond the Blue Moon, the Adventures of Hawk & Fisher, the Novels of the Nightside, the Secret Histories Novels, and the Ghost Finders Novels. He is a resident of Bradford-on-Avon in England. Simon R. Green is the New York Times-bestselling author of Blue Moon Rising, Beyond the Blue Moon, the Adventures of Hawk & Fisher, the Novels of the Nightside, the Secret Histories Novels, and the Ghost Finders Novels. He is a resident of Bradford-on-Avon in England.